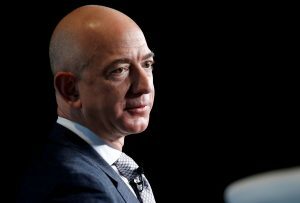 Amazon’s CEO Jeff Bezos is accusing American Media, Inc. of blackmail and extortion in a blog post that included a series of threatening emails Bezos says he received from AMI and its lawyer. Bezos writes that after the National Enquirer, which is owned by AMI, published an exposé rife with intimate text messages between him and a woman he presumably had an affair with, he retained an investigator to determine how the messages were obtained. The Washington Post, owned by Bezos, reported that the investigator concluded that the National Enquirer story was “politically motivated.” AMI’s CEO David Pecker is known to have deep ties to President Donald Trump, who has been critical of The Washington Post’s reporting. AMI makes the claim that publishing the photos is “newsworthy,” and that the photos convey Bezos’ poor judgement to Amazon shareholders.